(CBS News) There's this amazing group who occasionally emails to ask if I'm interested in featuring their latest work. 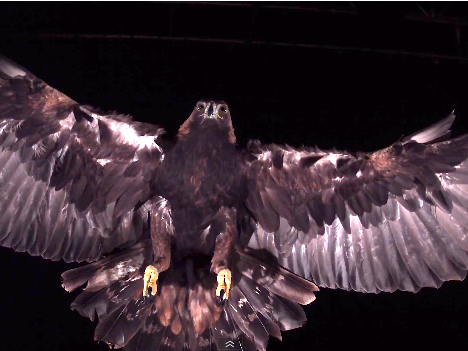 Let's see... am I interested in highlighting a Golden Eagle in super slow-motion? Uh, yes, please! (And keep them coming!) So watch as a bird of prey soars very, very slowly in the fascinating video above. And this is definitely best seen in high-definition if possible. How do feathers work? Sam and Si take one of the biggest birds of prey, the golden eagle, and see just how it carries its massive frame through the air. And considering our last post, we are just overflowing with educational knowledge today! A big triple-rainbow salute (also their fifth) goes out to Earth Unplugged from us here at The Feed for another mesmerizing look into the animal kingdom! And to check out more of their amazing work, you can click here to see our previous posts or click here to go to their YouTube page.